A year after having been reactivated as a spy, Matt Helm receives a message from his ex-wife asking for his aid. The threat is an enemy agent named Martel, disguised as a mob hit man. To protect his family, Helm must remove the threat before his own children pay the ultimate price. 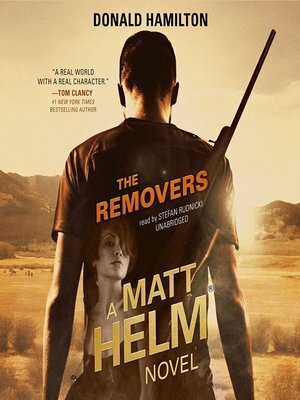 Originally released in the era of the James Bond novels, the Matt Helm novels were considered grittier and more realistic than Bond, garnering them critical praise and ardent fans.